If you have not already found BLDG BLOG, check it out. It is a very fine design blog on architecture, urban planning, and details worthy of a close look. A few of you in GD4090 will find this of interest among many of the other articles on BLDG BLOG. The author, Geoff Manaugh, is now focusing on expanding Gizmodo’s coverage. 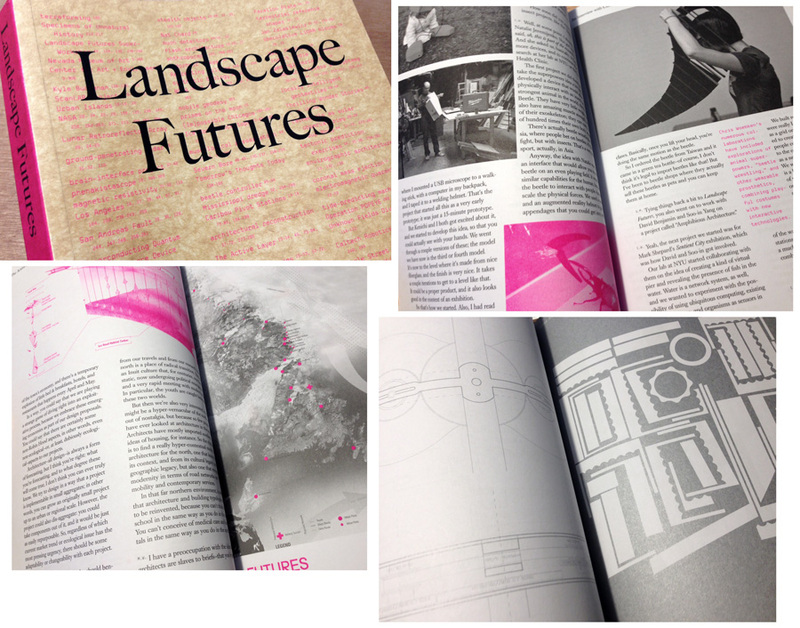 He also authored Landscape Futures: Instruments, Devices and Architectural Inventions. It was published earlier this year and was designed by Everything Type Company/ETC. And yes, that fluorescent pink is just that bright in the printing.